Travelling around the UK by train is a daily necessity for many people, from business commuters to students. While the latter can take full advantage of money-saving schemes such as a Student Railcard, general passengers have various options open to them. Red Spotted Hanky vouchers are becoming more and more popular with rail travellers. If you haven't actually come across Red Spotted Hanky Vouchers before, then here's what you need to know about them, and the discounts they can offer. Red Spotted Hanky has been set up as a Loyalty Scheme, allowing those participating to have access to a variety of travel discounts. By going to the Red Spotted Hanky official website - redspottedhanky.com - customers can register for automatic inclusion. A loyalty scheme account will then be opened up. One of the key commitments this scheme offers to its members is a price promise. When buying train tickets, the website will search available price options within the parameters you input - journey details, dates, travel requirements etc. - and the best options will be displayed in your browser. 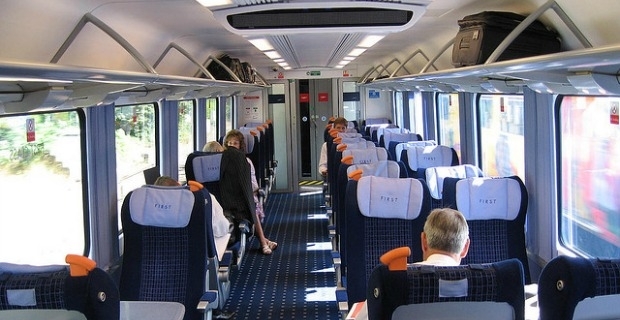 If you are able to find a lower fare, your account will be credited with loyalty points to the value of the difference between the fare you paid for, and the one you subsequently came across.It is important to note that this promise only applies to British rail travel, not European journeys. In addition, any claim must be made before midnight on the booking day. Red Spotted Hanky vouchers are also useful for providing savings when compared to standard 'walk-up' fares - that is, for tickets purchased on the travel day. Travel companies have always liked to reward those passengers who book well in advance, therefore committing themselves to a particular train journey and travel date. With Red Spotted Hanky vouchers the saving that can be made can be up to 80%.